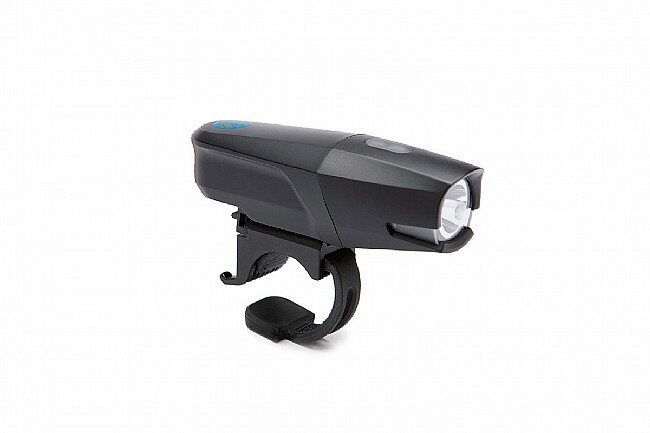 Portland Design Works' City Rover 500 USB Front Light is a rechargeable front bike light with a powerful lithium-ion battery and a darkness defying CREE LED bulb. Its precision reflector provides superior luminous guidance to the front and side for up to 20 hours of ride time. The City Rover will run for an additional 15 minutes in low power safety mode after the low battery indicator light comes on. To prevent accidental on/off, the button has a 1-second delay. CREE LED, Texas Instruments integrated circuit. Run times: Steady - 2hrs (500 lumens), 4hrs (250 lumens), 8hrs (125 lumens); Flash - #1 (400 lumens) 16hrs, #2 (400 lumens) 36hrs. Lumens and run times certified to FL1 standard. Light wakes up in last mode used. Includes Mission Control 2.0 mount & micro USB charge cord.